The life of your car relies upon how well you maintain it. A large number of people don’t give appropriate regard for the necessities of their car and wind up experiencing various vehicle related concerns. Some of these concerns can be handled by regularly getting appropriate car repair work done time to time. There are various affordable car repair services in Gurgaon offering premium quality services to ensure your car is running correctly. 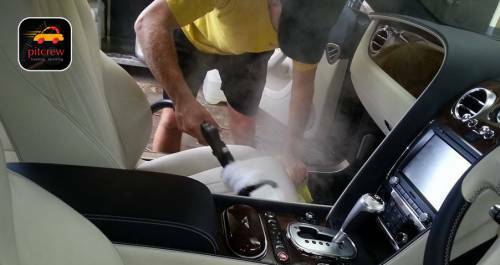 Auto wax makes a layer on the outer body which helps the car to be safe from minor scratches from things like – bugs, acid rain, and forestalls rusting. The contaminants stick in the wax and can be efficiently removed during normal car wash. Always remember to wax your vehicle from a trusted and Affordable car repair services in Gurgaon such as Pitcrew 2 to 3 times every year. Rusting occurs when the car metal is left in oxygen and dampness for an extended period. An auto’s under body can rust quickly in water-front locations because of salty water and air. Rusting also happens when the car comes into contact with water when driving through puddles and heavy rains / downpours. The rusting is best-taken care by the professional repair men in Pitcrew. Washing your vehicle frequently, i.e. a few times a month will expel all the soil from the surface of the body and under the chassis which keeps it clean. It’s better if the vehicle is washed with a pressure hose at a trusted car shop as you get the under body also. There are many affordable car repair services in Gurgaon to take benefit of this service. We suggest you to get a full body wash once a month.